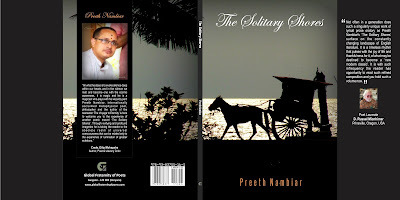 Good poems are hard to come by and I am privileged that Mr. Preeth Nambiar chose me to review his second book, titled “The Solitary Shores” because of which I had the opportunity to read such intense, gripping and lovely poems. To begin with I loved the images, especially the one he has used as the book cover. It’s as if the carriage is waiting for the reader to climb aboard so that it can take him/her on a long journey through hills and valleys and together discover the beauty of nature and appreciate the work of the divine. This poem spoke to me in ways I cannot comprehend. The sound of the rains, the sight of the rusted grills and the poet looking out into the horizon, hoping that the words would come and he could complete the poem he was asked to write. The use of imagery is superb! While reading the poem, I could not stop the tears from flowing. “Be the moonlight in this darkness that takes me from the depth of madness, sing a lullaby when the nightmares shake me up!” This poem has the power to take you to another world, to bring back memories of yester years. Readers may interpret the poem in many ways, but to me it symbolized the love of a father; unselfish, forgiving and tender! Life is made up of different hues and fragrances and that is very spoken about very deeply in this poem. As I sat reading this one, I could feel the pain evident in the lines. As I went from one line to another I was left with a feeling of dread. I could feel the sandalwood burning and its fragrance spreading through the air.Touching and deep!! All the poems in this book are mesmerizing. They oscillate between life and death, which are both very difficult topics to write about. Preeth Nambiar has the gift of using his pen to evoke images that are real and painful, but in a certain mysterious way. As you read these poems you cannot help, but question your existence and in turn understand your purpose on Earth better! 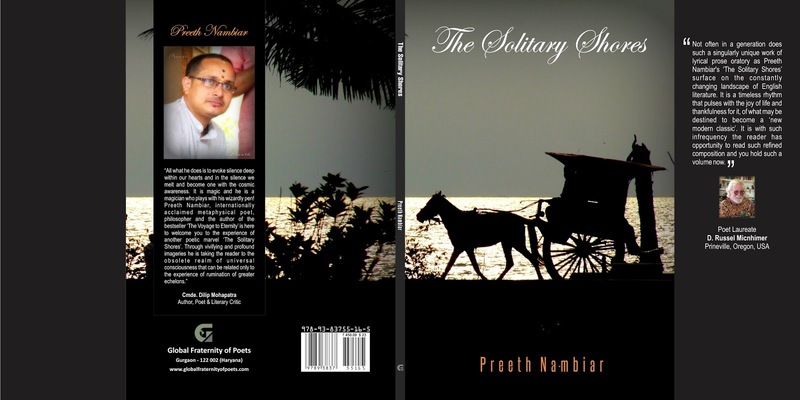 Journalist, litterateur and humanitarian, Preeth Nambiar hails from the northern part of Indian state, Kerala in the southwest region of India on the Malabar Coast. Born in an ancient aristocratic family that carried the rich cultural heritage of Southern India, his works reflect greatly the rudiments of music, arts and devoutness that were acquired from the very atmosphere of early childhood and the later life of journeys across the virgin lands of India and abroad prepared him for a broader perspective of universal existence that has a great role in defining his poetry and other works. He is renowned for the eloquence in narration and for the meditative tunes in his works whereas the elements of mysticism confer him the position of one of the most significant contemporary mystic poets in the tradition of the greatest Indian Mystics. He was awarded with prestigious Yayati Madan G Gandhi International Award for Poetry in 2014 and his works are being broadcasted by Celestial Radio, London, UK and are being showcased in many international publications. He is also an ardent photographer who absorbs the myriad moods of the nature through the lens. After serving the University of Cambridge international Examinations in the Maldives as the head of the Department of ESOL, he is presently living in India contributing greatly to media and literature. The last 2 months have just passed me by; with my son on vacation , I hardly had any time to read and write. I missed that, but in the process made so many new memories with him that I can’t complain. Motherhood is the best thing to have happened to me and I am sure Vibhuti would agree since she has two kids of her own!! 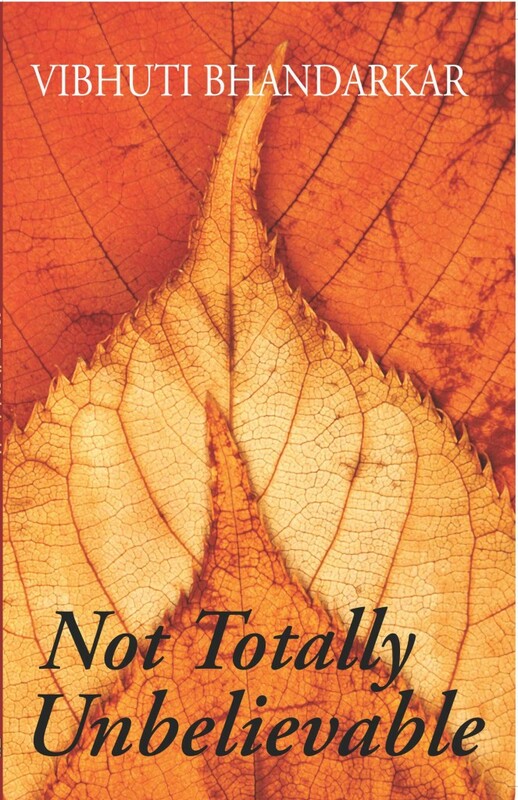 The author of “Not Totally Unbelieveable” and I connected through Facebook. 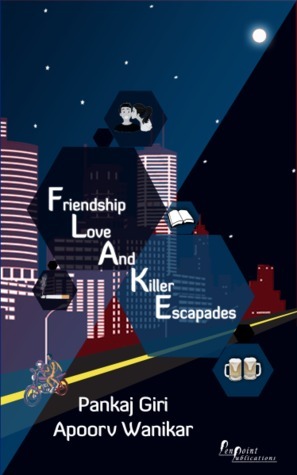 As time went by we exchanged numbers and connected through Whatsapp too….This is Vibhuti’s first published collection of stories for young adults and I must say it is an interesting read…One of the few books that I finished in one sitting…Below is the detailed review. Lin delves into her knowledge of the magical powers of the Tisane to solve the problem that her elder sister Liu is facing at The Lingnan Tea House. Dereck has accidentally slipped into a seemingly unending black hole while trekking in the Black Forests of Germany. His whole life flashes before his eyes as he travels down the dark tunnel. Once out in broad daylight, he is surprised to be alive and shocked to find himself in India. One evening a teenager looks up from the book she is reading and finds a phantom staring her in the face, floating between her mother's white roses, just a few steps away from her. On another day Daddy's bike journey once again very mysteriously comes to a similar end like always, almost like a decree from God. From Meera, a young teenager, life seems to have always turned a deaf ear towards her. One day she finally decides to step off into oblivion. She goes unheard. 'Not Totally Unbelievable' is a collection of 10 short stories narrating the extra-ordinary experiences in the lives of the seemingly most ordinary people from the Occident, Orient and India. These pieces of fiction are essentially true stories that will compel one to believe in the mysterious, magical powers and forces around us, within us. This book was a welcome break for me; it was actually like a breath of fresh air on a hot summer day. 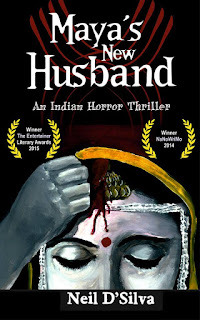 Reading the novel Aarushi was making me very emotional, every line was tugging at my heart strings and there I see Vibhuti’s book in my mailbox and jump at the chance of reading something that will divert my mind. When I began the book I just stared at the words and marveled at the use of language - Simple and appropriate, the book had my attention! All the 10 stories in the book appealed to me, but I especially liked - At the Lingnan Tea House, Trekking through time, A little thing called love, Ninny and The Wordsmith. At the Lingnan Tea House - I liked the author’s use of narration, description and dialoges. The way she has described the love between the two sisters – Lin and Liu and the way they look out for each other is done very subtly, but is so strong that you can feel it in the narrative. I actually felt I was sitting there at the Lingnam Tea House sipping tea! Trekking through time - This story shocked me. I never expected the ending to be like that! Here I am making up my own story about Dereck and all of a sudden it all goes up in flames….Interesting ending. You have to read it to know what I am talking about. A little thing called love - This story just pulled at my heart strings and a few tears escaped my eyes It may be a simple story that has been told many times before, but the way the author has handled he subject is nice….the little details showing disappointment, heartache, concern and love are well written. Ninny - I love the jab at the Educational system. Being a teacher, I know how harmful words can be and how they can discourage and demotivate a child. Ninny’s feelings, his belief in himself, the support from his family, his inquisitive mind and the way he rises above it all is well described in this story. If you are looking for a story with a message…this is one! 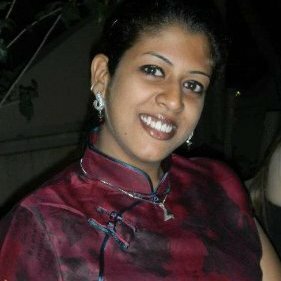 The Wordsmith - Suma has dreams and I like the way she works towards making them come true. I like her sense of observation, the way she deals with the devil in her head and yes, I loved the ending. I just wasn’t expecting something like that! 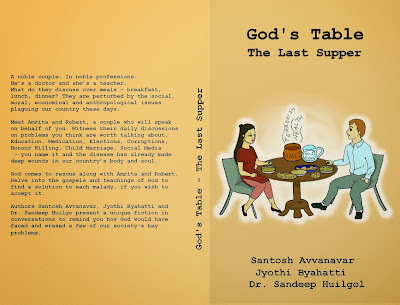 The author, Vibhuti Bhandarkar does have a unique style of writing, along with a good understanding of the English language.4 years have passed since she wrote this book and I am sure that she has now honed her skills further and is ready to share her new book with the world. 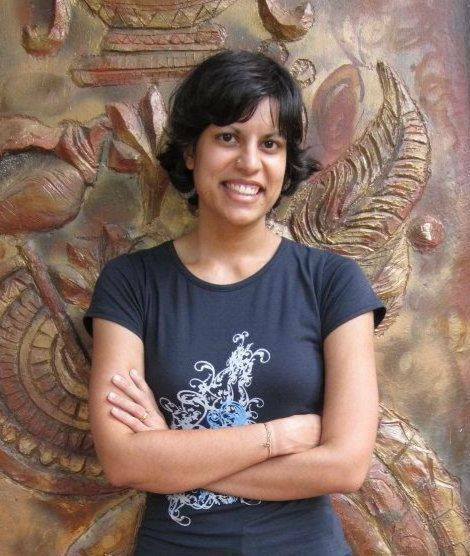 Keep on writing Vibhuti…You are blessed with the wonderful gift of weaving interesting and heart touching stories! The process of reading and reviewing is quite a complicated issue! I feel it is a skill that I will slowly master….well, I say this because as a reviewer I read different genres of books - some I personally like while others I get drawn into as I turn each page. The most difficult part though is to look at things critically and talk about the things I like and things I don’t in a manner that appeals to the reader, as well as the writer. Phew! The last few months have been quite a roller-coaster ride and that is why I took a break from all this as I felt that things were getting into a pattern and I was getting too absorbed into it. 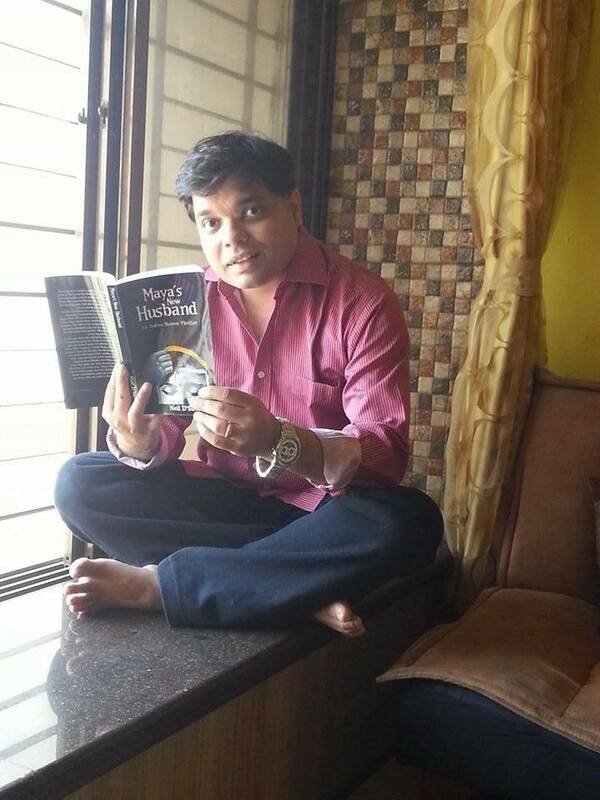 This review is an effort to create a fresh perspective on the entire process of reading a book and talking about it…. What makes the book interesting? As you can see above, the cover is appealing and immediately draws your attention to the topics covered by the stories in the book. The book has been well-conceptualized and that is apparent from the contents page itself; since it breaks down the stories into various sections which keep the stories woven together and provide a flow from one section to the next. The sections are: Section 1 - Resistance, Section 2 - Stories from the 13 day War, Section 3 - The Paratroopers, Section 4 - Air and Naval operations and Section 5 - Surrender and after. The preface is detailed and offers an insight into the reasons behind writing this book, the terrible things that happened in the 1971 war and ends by appreciating the efforts of all the people who made the book possible. 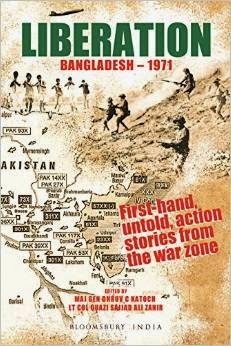 The pictures of officers and soldiers on the battlefield and the author profile at the end adds that personal touch to the book as the reader is able to see and read about the people who actually experienced this war and were responsible for creating a new nation called Bangladesh! When I began the book I was unsure about whether I wanted to read about the war and the atrocities that accompany it. Then I remembered that my mother had mentioned something about this war when we were younger and I spoke to her about it. She told me what she remembered and then I decided to read about it myself….I knew that one day I would like to tell my son and the children I teach about how difficult and painful a war can be. The stories are interesting and provide a first-hand account of the war. It talks about how important teamwork is, how people are willing to sacrifice their lives for their country, how cruel some people can be, the conditions that accompany the war, how one has to keep moving forward despite the loss of family and friends and how important courage is. While reading the stories I have felt tears roll down my cheeks, at times I have held the book tighter feeling helpless and at others I have rejoiced when the enemy was defeated. In the end, I would like to say that I agree with the statement made above - “A compelling read for young and old alike.” This book will make your realize that freedom comes with a price…a very expensive price!